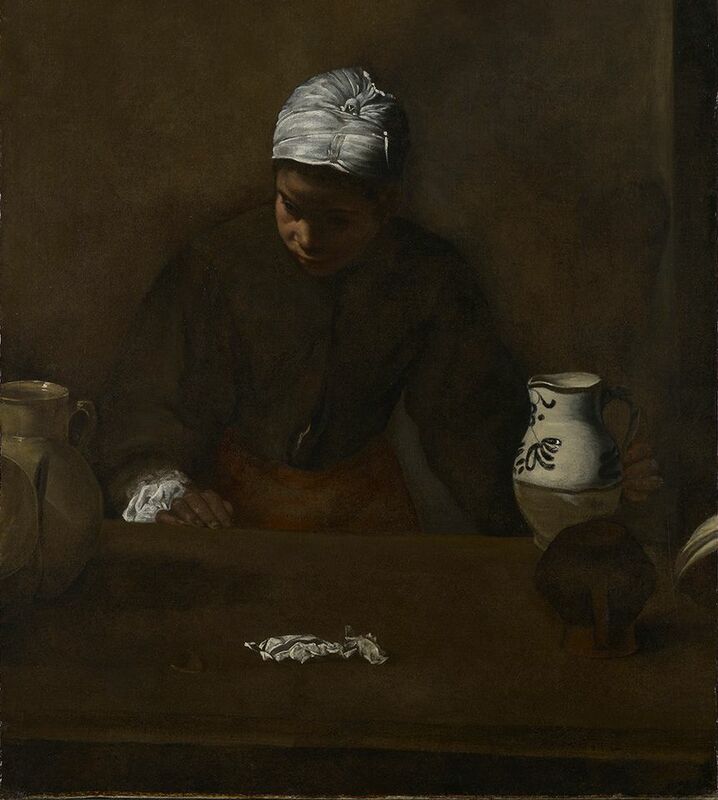 Until a few years ago, Kitchen Maid (around 1620)—labelled “in the style of Diego Velázquez”—hung behind a door at Rienzi, the European decorative arts house museum at the Museum of Fine Arts in Houston. But when it goes back on view in mid-November at the main museum, the label will read “attributed to Velázquez”. The painting, which sympathetically depicts a mixed-race servant, had its post-cleaning debut last June at the San Antonio Museum of Art, where it was part of the exhibition Spain: 500 Years of Spanish Painting From the Museums of Madrid. It was still labelled “in the style of Diego Velázquez”, but the catalogue noted “that it may actually be by Velázquez himself”. Katherine Luber, the San Antonio museum’s director and a co-organiser of the exhibition, says: “The first moment I saw it, I believed,” citing “the way her face is painted, the wrap around her head and the crumpled cloth in the foreground” as evidence. She adds that European paintings curators from other museums who visited the San Antonio show were also convinced. The Houston painting seems to be a cropped version or a fragment of Kitchen Scene (1618-22) by Velázquez, owned by the Art Institute of Chicago, and also shares components with his Kitchen Maid with the Supper at Emmaus (around 1617-18) at the National Gallery of Ireland in Dublin. Bomford says that the head and upper torso coincide in the Houston and Chicago paintings, for example, and that some pieces of crockery match those in the Dublin painting. Some elements in these works also appear in other paintings—for instance, the crockery is seen in his Two Young Men Eating at a Humble Table (1622) at Apsley House in London. Kitchen Maid was given to the Houston museum in 1955 by Carroll Sterling Masterson and Harris Masterson III, who also donated other significant paintings, many works of porcelain and, eventually, their home—Rienzi—and its contents to the museum. In a scholarly paper in the October issue of Colnaghi Studies Journal, Bomford uses the kitchen maid triad as one of a few supporting examples for the recent notion that Velázquez used “manual copying aids”, or cartoons, to create many of his works. But that was not the case, she concludes, “in the generation of his most sublime images”, such as Las Meninas (1656).